As a cub reporter in 1969, I left my Kentucky roots to seek fame and fortune in what I considered The West. After watching a matinee showing of “True Grit” at the Towne Cinema and then seeing the beautiful women pour out of downtown office buildings at 4:30 p.m. on a fine September afternoon, I decided that Kansas City was the place for me. The late Donald D. (Casey) Jones, night editor at The Kansas City Times (morning edition of The Kansas City Star) agreed, and thus began a nearly 37-year run at The Star. As a general assignment reporter, I interviewed Janis Joplin four months before she died of a heroin overdose in Hollywood; tried to interview Sly and the Family Stone, but they were too stoned; and tried to interview Stephen Stills, but he was too busy with a parade of groupies. After leaving the world of general-assignment reporting — mostly obituaries, fires and crimes — I became a political and government reporter. I covered the Jackson County Courthouse from 1971 to 1978 and then Kansas City’s City Hall from 1985 to 1995. In ’95, I was promoted to assistant city editor, running The Star’s Wyandotte County bureau, which gave me insight into middle-to-upper level decision-making at The Star. I retired in June 2006, the same month McClatchy finalized its purchase of The Star from Knight Ridder. 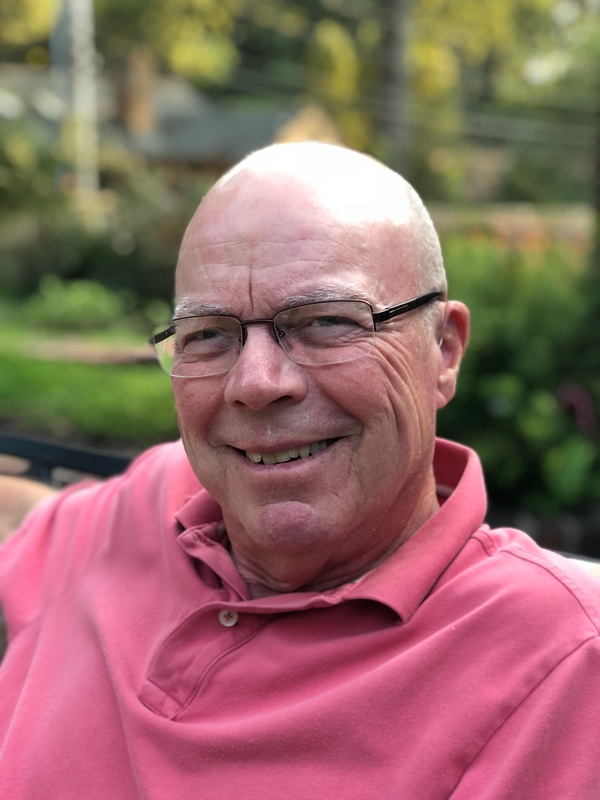 After retiring, I worked as a substitute teacher in the Shawnee Mission School District for nearly a decade, and I now do volunteer work for The Whole Person, which connects people with disabilities and caregivers. I also play golf and follow the PGA and the LPGA. My wife Patty and I live in KCMO, to which we are fiercely loyal. We have a 30-year-old daughter, Brooks, who works for the Kemper Museum, and a 29-year-old son, Charlie, who recently received a master’s degree in environmental physics from UNLV and is looking for a job in the field of radiation monitoring and remediation. Don’t know you personally, but I do appreciate your attitude, perspective, and energy in stating your opinions and following through with action, not just talk. Thank you, John…Yes, just sitting here at my desk and spouting off about the way I think things should be is taking the easy way out. I like the hands-on action, too, and really learned a lot in forming a campaign committee and running the committee’s activities. One thing I came to realize is that you can run a fairly effective campaign, even in a county as big as Jackson, for $10,000 to $15,000. You don’t need $1 million or even $100,000….Billboards and KC Star ads will take you a long way. I read your amazing article about the injustice in the Ann Harrison case. Your article is profound and so true! Thank you. Just today another article in the KC Star about putting a hold on lethal drugs, and that it would be an inhumane and unnecessarily long death…….I cannot even believe what I am reading. I do not know how this attorney can rest his head at night. My thanks to Lonnie for turning me on to your blog. I didn’t realize how much I’d missed your fine writing and world view. Thanks very much, Cheryl. I’m very happy to have you as a reader. You know how I have long adored you! Pleasantly surprised to discover this last vestige of real journalism while fact-checking on the late, great Judge Coburn. Love your blog… Always good commentary. Thank you, Michelle. I appreciate your readership. You should be the new Managing Editor for The Star. THERE you are! Sorry it took so long to find you, but I have you now. Great. Glad you found me, Hollis. Have we met? If so, remind me where. We have not met – I just enjoyed your writing until you disappeared. Lonnie Shalton sent me your pieces about the Diocese. Thank you for your article on the damage that Bishop Finn imposed on our priests and the diocese. As a member of STM, it was so frustrating to know what was happening and feeling like we had no one to turn to for justice. God interceded on everyone’s behalf by having the bishop removed. You were able to give a voice to the wrong being done and put into words what we could not. I am a newbee to your site but now a faithful follower. Thank you. Great to see you, Jim! We sure had a lot fun at City Hall! Glad to see you still have a voice on the interwebs!! My cousin forwarded to me here in Palau your interview with Fr. Wandless. Glad to hear Finn is finally removed. Sorry to read about his assignments in preparation for departure. It was a plus when I noticed the by-line. Way to go! My best to Patty. I have never met the Ellingsons, but for some reason this has struck a very personal chord with me. Maybe it’s because this could have been me at one time or could be my son. I don’t know….I just know I’m disgusted by the actions of those that are supposed to protect the public. I hope that justice will ultimately prevail, but that is still no excuse for what Piercy did that day or what his superiors continue doing to this day. I don’t know how the hell Piercy even sleeps at night, knowing what he did and then lied about it…..
on March 16, 2016 at 11:38 pm | Reply Jeff R.
I stumbled across the site tonight while seeking articles on that box of snakes called the payday loan industry. I appreciate your journalistic style and will definitely be back. enjoying it. And I can still whip you in handball! !